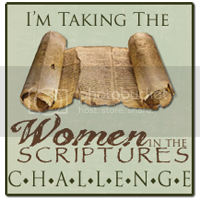 The story of Moses is one of my favorites, mostly because his story is filled with incredible women. 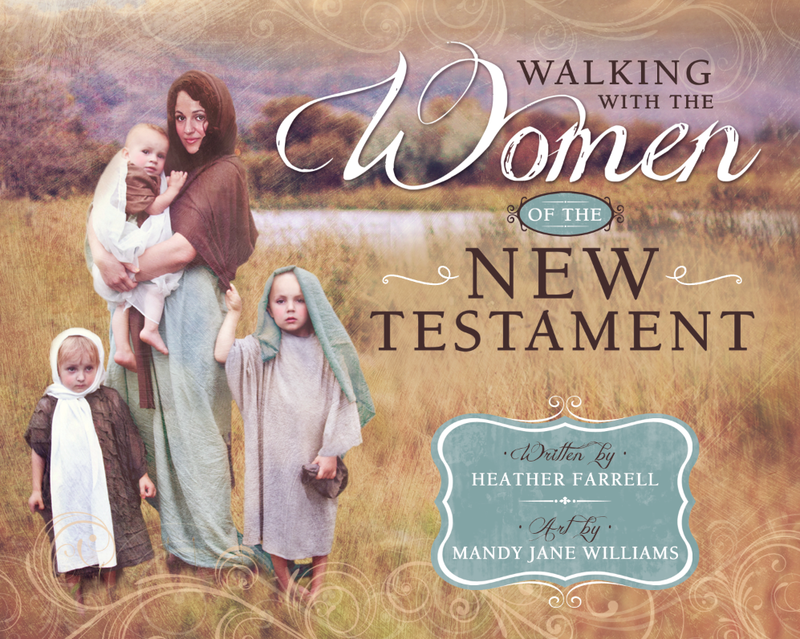 We are introduced to many of these women at the start of Moses's life and are shown several wonderful examples of women and men who, even though they lived in difficult times, had hearts open to life. In fact, it is through several sets of very personal individual choices that God was able to raise up a deliverer, Moses, and prepare the children of Israel to break away from a culture of oppression, slavery and darkness and restore them to the light, power and glory promised them by their Father Abraham. I think the story of Moses is an important one for modern day women and men, because it shows us first hand the power and blessings that come from cultivating hearts and lifestyles that are open to life, no matter what our circumstances or our challenges. Miriam is our first example of a heart open to life. She didn't yet have children of her own, and probably wasn't even in a position to have them, and still her heart was "turned" to those spirits waiting in heaven. Later in life Miriam would be called a "prophetess” and would be a great spiritual leader in Israel. It seems that from a young age she seems to have had her heart and her mind set on things of the spirit, and so it was through her that God first planted the seeds that would later become the means of delivering Israel from slavery. I think her example is a powerful one because it shows that God speaks to young women, and that it is never too young to cultivate a heart open to life. Amram and Jochebed were the second advocates for Moses’s life, because despite the extremely difficult circumstances they were in, they had the faith to conceive another child. If anyone ever had a good reason to avoid pregnancy, they sure did. The Book of Exodus paints a grim picture of what life was like for the Hebrews in Egypt at this time. Pharaoh was concerned at how quickly the Hebrews were reproducing and feared they would soon outnumber the Egyptians, putting the Egyptians at a political disadvantage. Pharaoh’s first attempt at diminishing the Hebrew population was by enslaving them and forcing them into hard physical work. 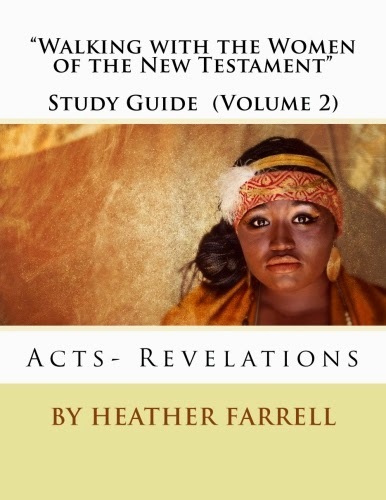 Yet not even extreme poverty and slavery could dissuade the Hebrews from having more children. They had hearts open wide to life, and even when they were bereft of all worldly wealth, still had the courage and faith to welcome children into their homes. This was a thinly veiled excuse and it must have taken some real moral courage to stand up to Pharaoh, and the popular culture of the time. We don’t know for sure, but due to the fact that Moses remembers these women’s names and records them, we might speculate that Puah and Shiphrah may have been two of the midwives who helped keep Moses’ birth a secret. Puah and Shiphrah, and the other midwives like them, were the third advocates for Moses's life. They had hearts open to life which motivated them to reach out in love and faith to protect and care for children besides their own. Even in the face of great personal danger they had courage to choose life over death, even for children they barely knew. I think this is one of the most beautiful things about cultivating a heart open to life, it fills you with love. 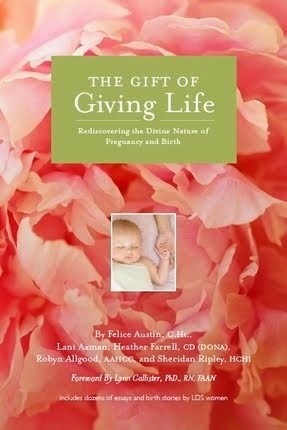 Not just for those people yet unborn but for the people around you... especially the children. After Jochebed had Moses she kept him hidden for three months. One can only imagine the emotional and mental anguish that Moses’s family must have gone through in those months. The book of Jasher tells how Pharaoh would send his men out every day to look for male babies and if they found any they would throw them in the river. It also says that many of the Egyptian women would walk through the Hebrew homes with their crying children so that if other children were hiding they would also start crying. If the Egyptian women heard a child they would find the soldiers and send them to the house (Jasher 68). 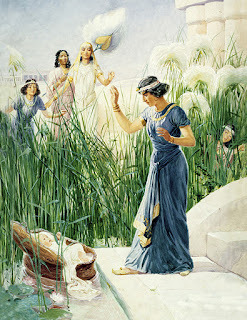 Apparently something of that sort happened to Jochebed because after three months she “could no longer hide him.” (Exodus 2: 2) In desperation she decided to build a small ark and line it with pitch so it wouldn't leak, then she placed Moses in it and laid it in the reeds along the river bank. The ark stayed there (not floating down the river like it is commonly portrayed) and Miriam, his sister watched afar off to see what would happen to him. I love that phrase "And she had compassion on him." Here was a woman who, as far as we know, had no children of her own, but who had a "mother heart". Moses probably would have been circumcised, as all Hebrew males were, and so it would have been hard to keep his heritage a secret from anyone. Yet, despite the consequences that might come to her for saving a Hebrew child Pharaoh’s daughter chose to save Moses’s life by taking him as her own son. She doesn't even seem to hesitate. She had a heart open to life and it motivated her to love and care for a child that wasn't her own. I have often wondered if Jochebed knew this about Pharaoh's daughter and may have placed Moses close to where she knew she would find him. The book of Jasher explains that after finding the child Pharaoh's daughter tried to find a nurse for the baby among the Egyptian women, but baby Moses wouldn’t nurse from any of them. Eventually Miriam approached Pharaoh’s daughter and told her that she knew a nurse among the Hebrew women who could nurse the child (Exodus 2:8-9). 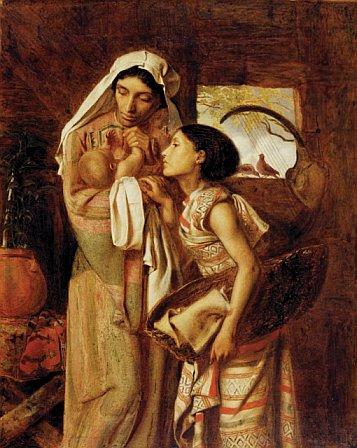 Pharaoh’s daughter sent her to bring this woman to her and Miriam returned with Jochebed , who then became Moses’s nurse—a tender reminder that God knows the importance of a biological mother in a child’s life. 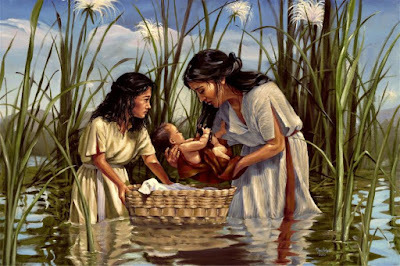 In fact, when I think of the relationship between Pharaoh's daughter and Jochebed I am reminded of the women I know who have adopted children but still have strong connections with their children’s birth mothers. These birth mothers are often major figures in their children’s lives, reaffirming to the children their roots and their heritage. 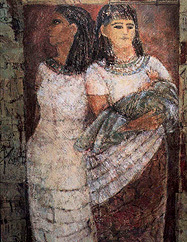 Just like Pharaoh’s daughter and Jochebed, both of the mothers are important and both have a shaping and defining influence on their children’s lives. Motherhood is not limited by biology and Pharaoh's daughter is a powerful example of that truth. Moses's life was full of men and women who had hearts open to life and who chose faith over fear. It was a collection of individual, private choices that combined together into a great work and resulted in incredible blessings and prosperity for a whole civilization. From Miriam who felt of his divine mission before he was even born, to his father who had faith to bring another child into his family even under dire circumstances, to Jochebed who was willing to carry and bear a child knowing that he would probably die, to Puah and Shiphrah who risked their lives to stand up for the sanctity of life, and to Pharaoh’s daughter whose mother heart prompted her to feel love and compassion for a child that was not her own. If at any time in this story one of these players had chosen to put their own personal interests before the needs of Moses he probably would not have lived to fulfill his divine mission. Yet, they didn’t. Even when they were surrounded by death and darkness they chose life and light…. and that made all the difference. It is easy to think that our generation is unique. To think that never before have people had to bear children and raise them in hard or dangerous situations, but the truth is that we are not unique… not in the least. The choice to have a heart open to life is one that every generation throughout history has had to make. Some civilizations have chosen the way of life, light and peace and lived; while other civilizations—like the Greeks, the Nephites, the Romans and the Jaredites-- have chosen the way of death, darkness and violence and perished. No matter where we are in our lives we can always choose to have a heart open to life. 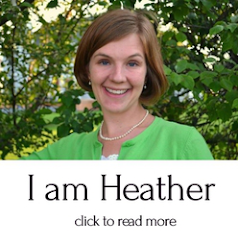 Cultivating a heart open to life is for everyone-- young women, single women, married women with no kids, married women with kids (no matter what their numbers), adoptive mothers, and grandmothers. Having your heart open to life means keeping your heart soft, focused heavenward, and full of love for ALL God's children. It means obeying His will and being willing to do what He asks to protect and nurture new life. It means choosing faith instead of fear. The life of Moses is a remarkable example of how God works through individuals to bless entire nations. It seems like most of God's great works are done in small, simple ways through humble ordinary people. 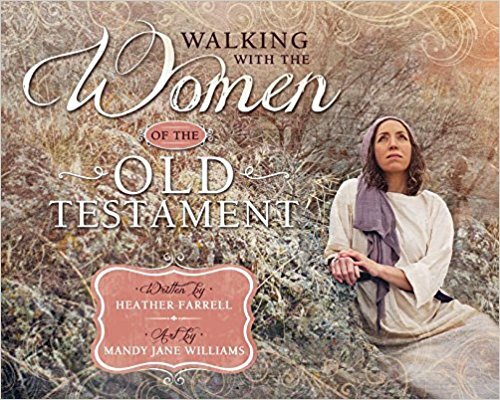 In the case of Moses it took the personal choices of many women to make the deliverance of the great deliver of the Children of Israel possible. God is still working miracles and when we open our hearts to life... we get to be a part of them. I've always enjoyed your posts, especially those that highlight women who are not your traditional mothers. I have battled recurrent miscarriage for years, and often struggle to feel like I have a place among my LDS mommy peers in my ward. I have definitely developed a soft spot for Pharoah's daughter as I've prepared my heart and home to welcome a child into my life through adoption. Stacey, best wishes with your motherhood journey! 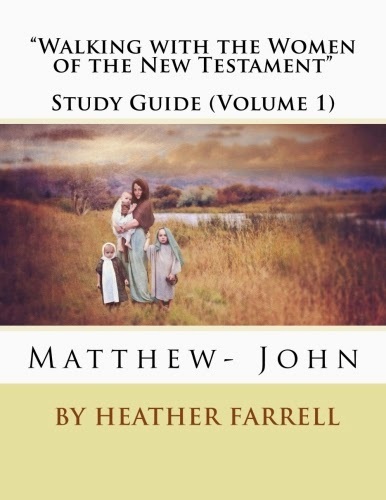 I really enjoy the non-traditional mothers in the scriptures too, and it is amazing how many their are! I think it is God's way of reminding us that he has different plans and paths for each family and each woman. Things might not always go how we expect or hope, but somehow they are always made right in the end. My favorite post so far!! Love all the women that delivered Moses. Really do. Thank you! What a contrast to all the stuff going on about planned parenthood and abortion. This is the best post yet. Especially in light of all that is going on in the world with abortion and justifying it, this is true and refreshing. Debbie S.
I'm blown away by your posts. I love your insights! Thank you for this posting. Like you can see, my first name is Miriam. Very inspiring for my life to follow promptings and never underestimate our influence. Thank you!